A PhD in Practical Theology with concentrations in homiletics, liturgical studies, mission, evangelism, mission and evangelism, pastoral theology, spirituality, church and society, congregational studies and religious education. A PhD concentration in Religious Practices and Practical Theology with opportunities to specialize in religious education, pastoral care, homiletics, liturgics, and congregational leadership. PhD's in Pastoral Theology and Personality and Culture, Christian Education and Congregational Studies and Liturguical Studies, among others. PhD in Practical Theology with concentrations in Christian Education, Pastoral Theology, or Homiletics. A PhD in Theology with Concentrations in Pastoral Care and Counseling and Congregational Mission and Leadership. 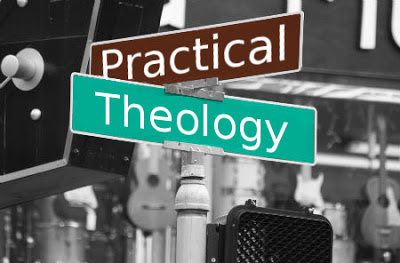 A PhD in Theology with a Concentration in Practical Theology with 4 tracks: (1) The Personality, Theology, and Culture, (2) Evangelism, Discipleship, and Spirituality, (3) The Community, Vocation, and Leadership, and (4) Marriage and Family, Theology, and Practice. A PhD in Practical Theology with two areas of concentration: Education and Formation and Spiritual Care and Counseling. A PhD in Practical Theology. How would you rank these programs? Good suggestions on schools where on could probably took up a Phd degree in Theology. It's good to have sites such as this one cause at least readers will somehow have an overview over the school and the degrees they specializes and the possible programs they are offering. Good set of universities to chose from. This may appear as a normal post but the help it brings on aspiring applicants will be valuable. I guess all I need now is to prepare myself to some financial training to be able to pursue my studies in one of these good set of universities. I just hope I could prepare myself for this financial training. I think Vanderbilt has one too. They call it Theology and Practice but then go on to talk about practical theology. At first you have to search for the internationally known, accredited universities that will owe you online PhD education.right here Determine whether you are eligible or not for an online education. Once you are eligible. Virginia Commonwealth does a Pastoral Care PhD. The princeton phd programs are very good for the students. It just has all kind of links that have scope in different course for students. Any list for practical theoogy and mission in UK? Thanks. Any list for practical theology and mission in UK? Thanks.